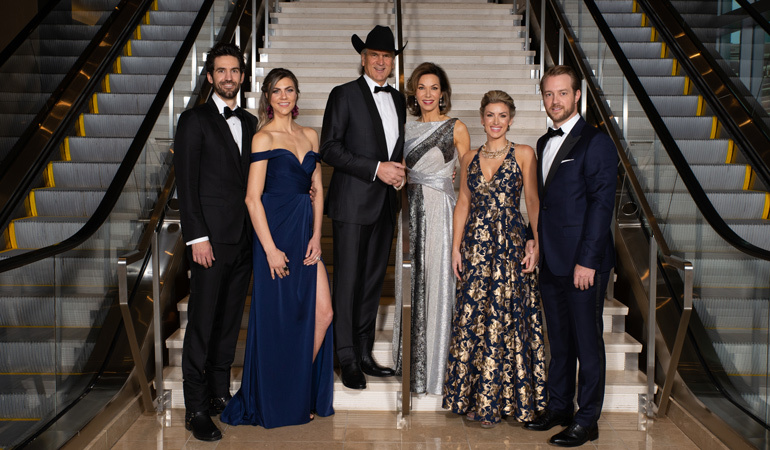 Jim Shockey celebrates winning the 2018 Weatherby Award with his family. Below, Craig Boddington does the same at the 2017 event. There’s little doubt that Jim Shockey and Craig Boddington are two of the most influential hunters and wildlife conservationists to walk the planet in modern times. Walking in the wild pathways tread upon by such trailblazing outdoor figures as Theodore Roosevelt, Art Young and Dr. Saxton Pope, Ding Darling and many others, Shockey and Boddington are two Outdoor Sportsman Group media personalities who have seen the world, hunted numerous game animals along the way, and vicariously shared their adventures with millions. All the while they have championed wildlife and habitat conservation, ethical hunting practices and sounded the clarion call for strong conservation measures for wildlife and vital habitat here in North America and far beyond. 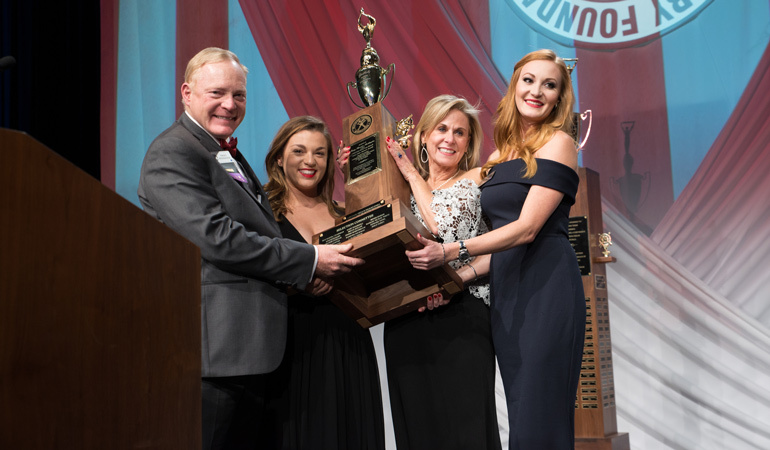 The long and storied careers of these OSG talents have earned them back-to-back wins of the prestigious Weatherby Award, an honor given out at a dinner held in Dallas each January during the Dallas Safari Club convention. Boddington claimed the coveted award for the year 2017, followed by Shockey in 2018. In an Outdoor Channel Facebook Live stream hosted by OSG’s Mitch Petrie on Thursday, Feb. 7, 2019, both Boddington and Shockey were honored by the company for winning the award in consecutive years. Joining Petrie, Boddington and Shockey on the social media gathering was Adam Weatherby, President and CEO of Weatherby, Inc. — the renowned American firearms maker now based in Sheridan, Wyo. In celebrating the award, the bigger honor may be the hunting heritage that is behind it all. 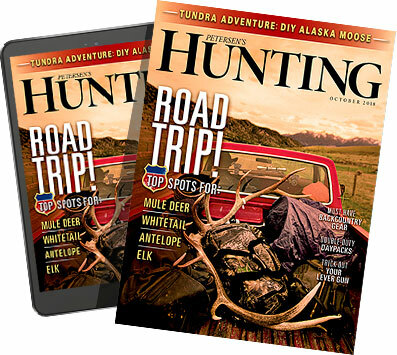 “Hunting allows people to see the world in ways that others can’t comprehend from wild and stunning landscapes to magnificent big game animals and game bird populations to the many cultures that are found around the world,” said Weatherby. “Those that have won the Weatherby Award have truly seen and traveled the world. Indeed, just as the voluminous written words and countless hours of recorded video produced by both Boddington and Shockey have attempted to do down through the years as they have chased wild adventure in every corner of the planet. Boddington, born in Kansas and educated at the University of Kansas, is a decorated military veteran who retired from the U.S. Marine Corps Reserves with the rank of Colonel. He is one of the most prolific writers in the outdoor genre, penning several thousand magazine articles and authoring more than 20 books in the wake of a distinguished career that began as an associate editor for Guns & Ammo in the late 1970s. Since then, Boddington has been the editor of G&A, associate editor and editor of Petersen’s Hunting, a current field editor and columnist for several OSG magazines, and has made appearances in more than 500 television episodes airing over the years on Outdoor Channel and Sportsman Channel. Currently, Boddington and his daughter Brittany host The Boddington Experience TV show on Sportsman Channel. Shockey isn’t far behind Boddington thanks in great part to his own long running outdoors media and television career. In addition to writing numerous magazine articles, Shockey has hosted such award-winning television shows as Jim Shockey’s Hunting Adventures, Jim Shockey’s Uncharted and Jim Shockey’s The Professionals on both Outdoor Channel and Sportsman Channel. Shockey, who has been a road warrior in recent weeks as he has attended trade shows and outdoor events, admitted that he just returned to his British Columbia home this week and is only now starting to reflect on all that took place in Dallas a few weeks ago. He called winning the award both humbling and a huge honor, one that was made even more special thanks to the amazing family, friends, and industry representatives that were in Dallas a few weeks ago. But he quickly pointed out that being in that room doesn’t necessarily mean much when one ventures into the unforgiving wild. “You can’t really call them (those at the awards dinner) the best in the world because the fellow that hunts his back 40 in Kansas and knows it well, the truth is that they are as good as anyone in that room (that night),” said Shockey, also noting the numerous sacrifices made by each winner’s spouse and family. 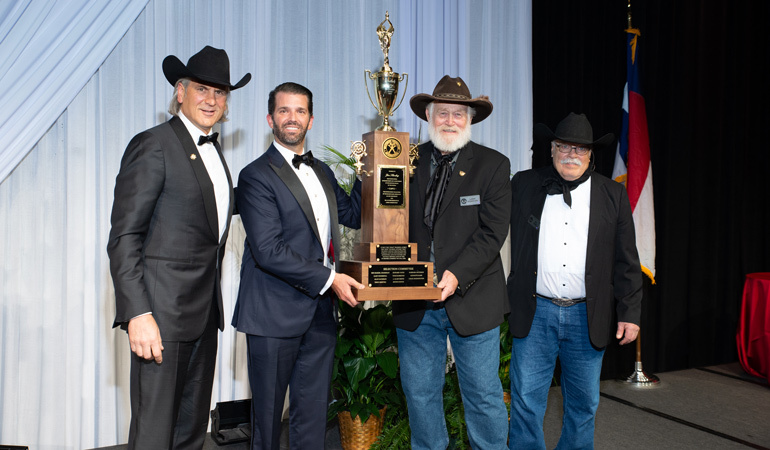 With Adam Weatherby and his father Jim looking on last month, more than a half-century of tradition was continued as Donald Trump, Jr. presented Shockey with the award at the 2019 Weatherby Foundation International Hunting and Conservation Award Dinner. That the President’s son would present the award to him was a great honor according to Shockey. The TV personality — who also pointed out that he’s a full-time outfitter and professional guide — noted that Trump, Jr. was a great man, a solid citizen, a solid patriot and perhaps even a future U.S. president. Shockey was also grateful to share the awards stage with his good friends Jim Zumbo and Larry Weishuhn, outdoor media personalities who are no strangers to OSG platforms. The British Columbia resident noted that his best hunts haven’t been in the far-flung places that he’s been to or thanks to the game animals that he has taken. Instead, they have been because of hunts with family members like his two children and his late father. And he hopes that there will be future hunts someday with his grandchildren. Weatherby certainly understands the family element that Shockey referenced, thinking back to his own childhood experiences with his dad Jim and his late grandfather Roy, including attending some of those early awards dinners. To see proof of that, one needs only to look at the trophy for the Weatherby Award, a towering prize that is as big and tall as the honor that it seeks to bestow. As humorous as that sounds, there is a little more to it said Adam. While Boddington and Shockey are no strangers to winning awards, this one might be the crowning achievement in their lengthy careers. When I caught up with Boddington at the 2019 SHOT Show, last year’s winner certainly echoed that statement. What did Boddington think and feel a year ago when he won the award? While hoping for many more years to spend pursuing the wild, Boddington knows that there are and will be others who will take his place someday, young people who dare to dream about a lifetime of seeing the world, experiencing its wild places and hunting adventures, and to work tirelessly to conserve game animals and habitat for generations to come. What advice would Boddington give to anyone seeking to follow a path similar to the one that he and Shockey have traveled? Boddington plans to take his own advice, noting that he isn’t done seeing what the world has to offer in its wild places. To make sure that such adventure remains possible in the decades to come, there is much work to be done. “Fortunately, there are many outstanding conservation organizations that exist today to help preserve our hunting heritage,” said Adam. “The Weatherby Foundation International is just one of these organizations that are helping to ensure our kids and grandkids will be granted similar hunting opportunities that we are. “As hunters, we each need to do our part to give back,” he added. “From local chapters to financial donations to volunteer hours…it is going to take a united group of people to preserve our hunting heritage and the wildlife and habitats we are so privileged to enjoy.